Ah, home! After a lengthy and tumultuous trip home (1 delayed flight + 1 missed flight + 3 standby lines + 2 connecting flight = 29 hours of travelling), I was greeted by hold-your-breath subzero weather and the familiar warmth of hugs from my beloveds. Oh, it’s good to be home, sleeping in my very own bed, covered in the hair of my very own absurd golden retriever. Oh, goodness. There are many Christmas movies I love, but I'll try to narrow it down to my (current) top five. I know what you're thinking... But, listen! This is one of the most delightful, hilarious, thoughtful, and charming Christmas movies. If I had to only watch on Christmas movie, it would probably be this one. For as long as I can remember now, I've tried to read this every Christmas. It is delightful, convicting, haunting and hopeful. 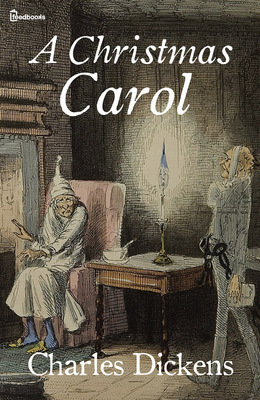 I am just a sucker for Dickens' prose, and I am confident this book will never disappoint in putting its reader into a generous holiday mood. Written in the 4th century, this small but dense book of theology is a beautiful explication of the Incarnation: what it means for God to come to humanity. Despite its rich theological content, it is a fairly easy read. As I've been reading it this year, I've been struck by the vividness with which Athanasius writes about God's love. 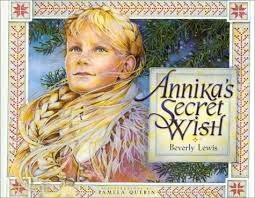 I grew up flipping through the pages of this beautifully illustrated book. It's depiction of a traditional Scandinavian Christmas makes me wish I were Scandinavian myself! It is also a gentle and lovely story that captures the true, humble generosity of Christmas. I suppose this one isn't even technically a Christmas song, but I always listen to it when December rolls around. There is something so addicting about this song in its rhythms, melody and harmonies. I think what I love best about this song is its blending of classical and soul. Bocelli's and Bliges voice surprisingly work so well together. And I love the triumphant declaration of who this child is... it captures the mystery and beauty of the Christmas story! Pentatonic does Christmas music particularly well, and this version of Mary Did You Know is beautiful. And to all of you who are quick to say "Yes! Mary did know. Omg"... Yes she probably had some idea, but this is a song that stands as an imaginative proposal not a theological statement. Let it be that and enjoy the grandeur. This episode is a perfect example of Aaron Sorkin's ability to weave together multiple story lines into a unified message. And this episode's is one which dignifies all people and keeps in mind the griefs that remain coexistent with the celebration of Christmas. It reminds us to be gentle with each other. The appearance of Yale's choral group Whiffenpoofs make this episode particularly festive. But the episode also explores themes of forgiveness and hope. This episode can't be watched out of context... if you haven't seen West Wing, don't start cold on this episode. But it is a powerful episode that deals with trauma. This wonderful charity is a residential program for homeless mothers. Residents at Mary's home may stay from 1-4 years, where they will receive counselling, financial assistance, job training and spiritual guidance. I love their long term vision for helping people thrive. And what better a place to give on Christmas than somewhere named "Mary's Home?" The crisis in Syria has reached a boiling point in these last weeks, resulting in the displacement of thousands of families. The plight of fleeing family's feels particularly keen when I consider that Jesus was just such a child... fleeing from the tyranny of a violent government. While I often feel powerless to help, I am thankful for charities like Preemptive love that provide real, practical, and loving support to those fleeing for safety.